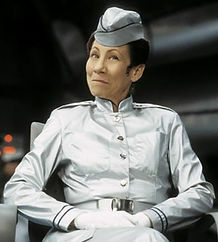 Mindy Sterling is known for her work on Austin Powers: The Spy Who Shagged Me (1999), Austin Powers in Goldmember (2002) and Austin Powers: International Man of Mystery (1997). Her other film and television credits include Friends (1995), How the Grinch Stole Christmas (2000), Justice League Unlimited (2005), Curb Your Enthusiasm (2007), Robot Chicken (2006-2008), Chowder (2007-2010), Desperate Housewives (2010-2011), iCarly (2007-2012), The Legend of Korra (2012-2014), Minions (2015), Voltron (2017), and her Emmy-nominated performance in Con Man (2015-2017). Alison MacInnis is known for her work on Power Rangers Lightspeed Rescue (2000), Power Rangers in 3D: Triple Force (2000), and Bewitched (2005). She has also credited with appearing in Power Rangers Mega Force (2014), Veronica Mars (2004), and Power Rangers Time Force. She will be joining us for a fun filled day and will be delighted to see everyone who attends. Sasha Craig is best known for playing the Yellow Ranger in Power Rangers Lightspeed Rescue. Her other credits include Power Rangers in 3D, Darkwolf, and Tucker and Dale vs Evil. Sasha is excited to meet all the Power Rangers fans and excited to be coming to Medford for the first time in her career. Keone Young was born in Honolulu, Hawaii. He is an actor, known for Men in Black 3 (2012), Crank (2006) and Crank: High Voltage (2009). His other credits include Teenage Mutant Ninja Turtles (2017), Star Wars Rebels (2015-2017), Kaijudo: Rise of The Duel Masters (2013), Sons of Anarchy (2013), True Blood (2013), Naruto: Shippûden (2012-2013), G.I. Joe: Renegades (2010), Deadwood (2004-2006), G.I. Joe (1985-1986), Transformers, and hundreds of other classic characters in film and television. 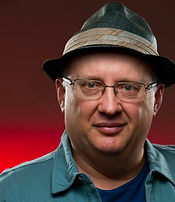 Joe Ochman has acted professionally in films, television, stage, commercials, video games, animation, anime and recorded books for over thirty years. 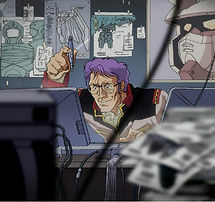 Some of his most well known Anime credits include Gundam Origins, Mobile Suit Gundam F91, Patlabor 2 The Movie (1993), Cowboy Bebop, Transformers: Robots in Disguise, The Little Polar Bear, Digimon: Digital Monsters, Naruto, Duel Master, Bleach, Pokemon Origins, and Bobobo-bo Bo-bobo as Softon. His television credits include Blade the television show, Bones, Weeds, Seinfeld, CSI, House, Boston Legal, and Big Bad Beetleborgs. Joe has also voiced characters in several videos games just to name a few. Might and Magic IX, Shadow Hearts: Covenant, Red Dead Redemption, World of Warcraft: Cataclysm, Diablo III, Call of Duty: Advanced Warfare, and Fallout 4. Joe is excited to be coming to Medford for the first time to meet and greet everyone. It’s been called the “worst movie ever made”, and not only is Jackey Neyman Jones one of its last surviving actors, but she’s the only one willing to talk about it. 2016 marked the 50-year anniversary of the release of Manos: The Hands of Fate, a low-budget horror film considered by many to be the “barometer by which all bad films are rated”. Six year old Jackey played Little Debbie, her father, Tom Neyman was The Master. Even her mom and dog were involved. After a November 1966 gala premiere, the film sank into the abyss of public domain and instant obscurity. But fate wasn’t done with Manos. In 1993 it achieved cult status after Comedy Central’s Mystery Science Theater 3000 dealt the riff treatment and introduced a whole new audience of cult film aficionados to the awkward ovie. 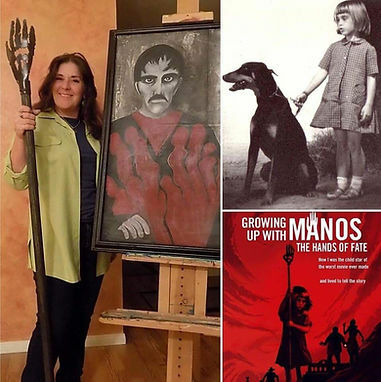 Today, Jackey Neyman Jones, an artist, actress and producer, lovingly tends to the flame of Manos — with her behind-the-scenes book Growing up with Manos: The Hands of Fate co- authored by Laura Mazzuca Toops (foreword written by Joel Hodgson, creator of MST3K), and with her new sequel film in postproduction, Manos Returns. Chris Marrinan graduated from the Academy of Art in San Francisco, with a BFA in Illustration. He began his art career doing advertising illustration, but quickly gravitated toward comics. Beginning with small publishers Eclipse, and then Heroic Comics, he then began finding steady work with Marvel and DC Comics. 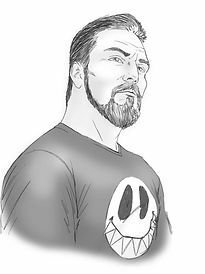 Chris has drawn comics for many publishers over the years, including Dark Horse and Image Comics, where he created his own titles, HeadHunters, and Ms. Fortune. Currently, Chris is working on projects with Dark Horse (creator-owned Mike Fortune), and Heroic Publications Legends of the Champions. 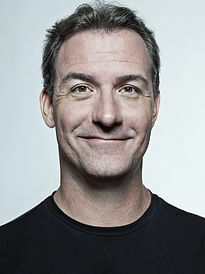 Chris has also worked on classic titles like Excalibur, Wonder Woman, Nova, and many more. 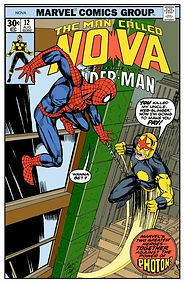 Most recently the artist for the Gotham TV series on FOX, Matt Haley has been illustrating hit graphic novels for Marvel and DC Comics for years on characters ranging from The Defenders (Marvel) to Superman (DC Comics) and has worked with comics icon Stan Lee on the feature documentary Comic-Con Episode IV: A Fans Hope and shows like Who Wants to be a Superhero? 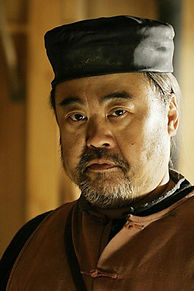 for NBC/Universal as well as numerous other projects with Mr. Lee. 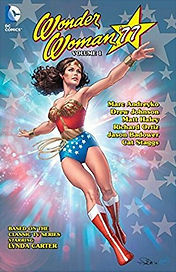 He also illustrated Wonder Woman ’77 and just completed a Superman/Wonder Woman teamup story with fashion designer Jean-Paul Gaultier. 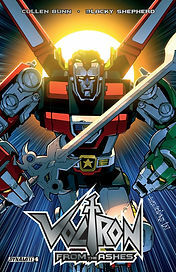 Blacky Shepherd is a renowned artist who brought Dynamites Voltron comic book to life. 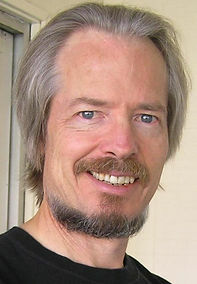 Blacky is also known for his work on the comic book Pumpkinhead.